The second half of the music sessions will be our popular BYO. Members and guests are welcome to offer music to share with us all. So bring along your favourite music on CD/SACD or Flash drive. Sorry, no vinyl this month. All we ask is that the music and recordings be interesting. We'll ask you to tell us a little about the artist/recording before it is played. Tracks over 6 minutes will be faded out, to give everyone a fair go. ​Nick’s Ella Mk II speakers were some of the easier speakers to setup in our room. We measured and determined where it might be best to place them, and it then took very little fiddling to get just right. In the end, there was a bit of extra warmth in the mid-bass, but in our difficult room that was a small price to pay for everything that was right. The system gelled well together, and the Nord Acoustics monoblocks that Nick brought offered the perfect balance for the Ella speakers. And if you wish to get some excellent interconnects or speaker cables at an excellent price, then you'd better be quick. Nick makes these cables himself (under his label FTM, "Feel the Music") but everyone tells him they are undervalued!! The Ella Mk II speakers are wonderful speakers – balanced, natural and honest. Nothing shouts out, everything in its place. There were many positive comments on the feedback forms (see below), and a number of people spoke to me during the break and at the end to say how much they liked the speakers. 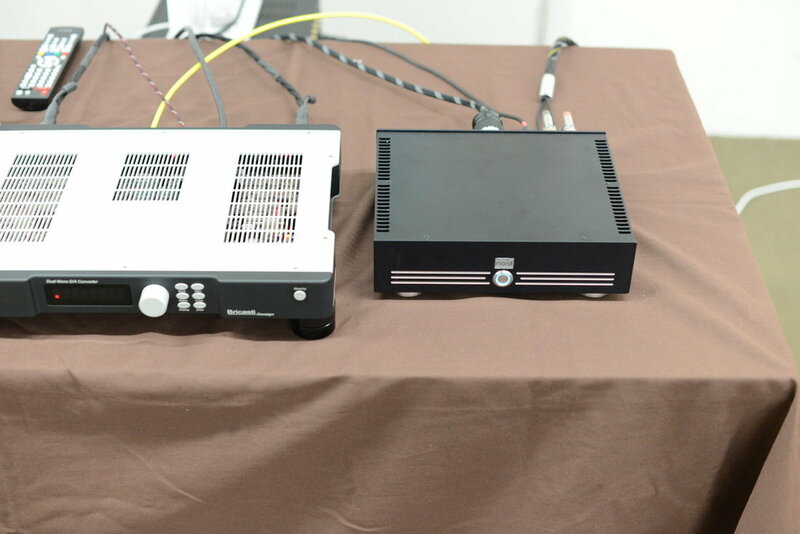 It was not surprizing to me that they won “Best in Show” at the StereoNET International HiFi Show last year. And thank you Nick for your comments – most appreciated. It was our pleasure to have you stay with us. And we greatly enjoyed our sessions listening and chatting about music and the audio industry in general! We all greatly appreciate you coming to Sydney to present to us. Here are some comments from the Feedback forms. Btw – the overall rating of the equipment, the meeting and the music was very high. "Good to see sensibly priced gear that actually sounds good." "Full scale with no compression. Very good." "One of the better sounding systems in this room." "Class D has made progress but not there yet. Good Speakers." "One of the best speakers we've ever had at the club." "Stunning with small ensembles but a bit bass heavy with classical." "Well designed and excellent sounding speakers." "Very capable and good value speakers." "Really nice speakers for the price." 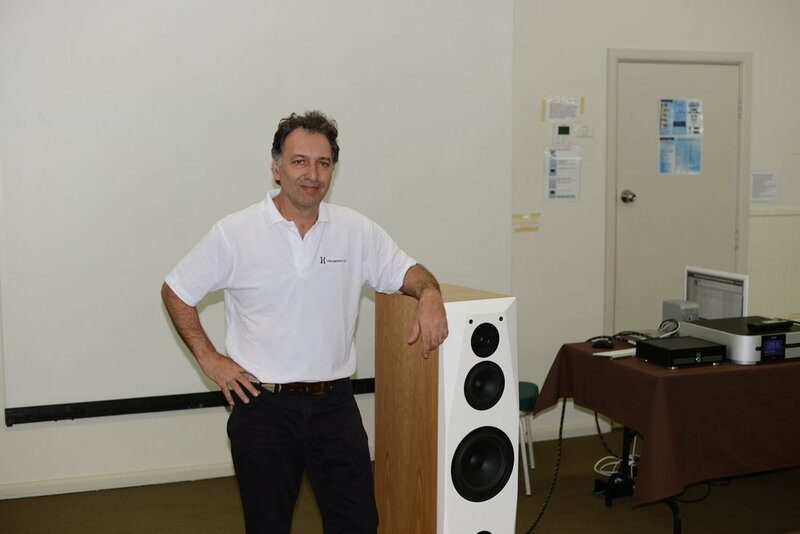 "Congrats and thanks to Nick for coming from Adelaide with this super speaker!"